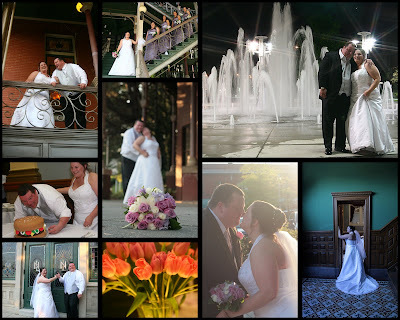 Sarah and Tom were married at the L&N Station in Knoxville at the end of April. What a gorgeous place and the ceremony was beautiful. Hot, is the one thing I can think right away for an April wedding - that day was just sooo hot out! The burger cake you see, Tom made! I will say the toasts from thier best man and maid of honor were some of the best I have ever heard!! !